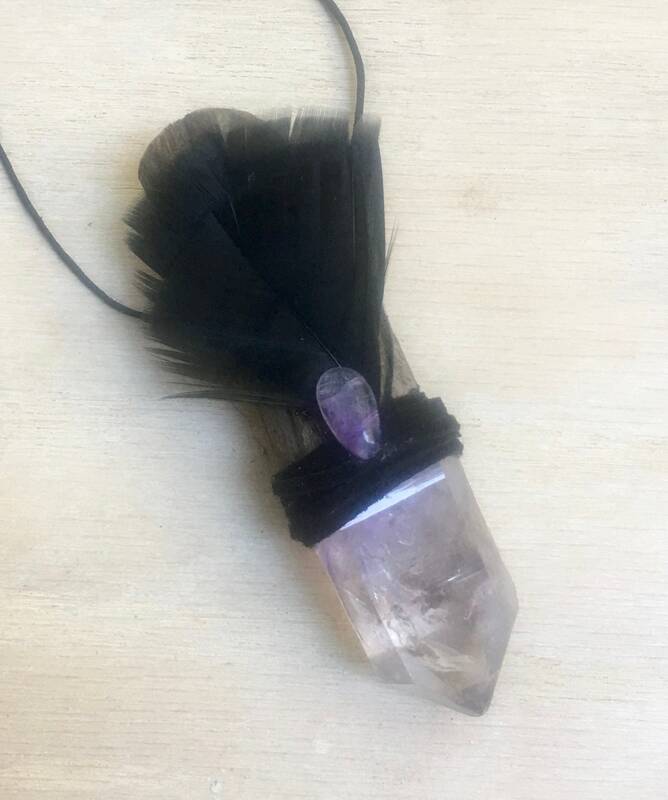 Profound Healing - Assists with Deep Healing, Connecting to “All that is” & Spiritual Alchemy; Fosters Spiritual Growth & Embracing Role as Co-Creator; Encourages Releasing Fear Based Thoughts & Patterns; Enhances Forgiveness, Acceptance, Compassion & Abundance. 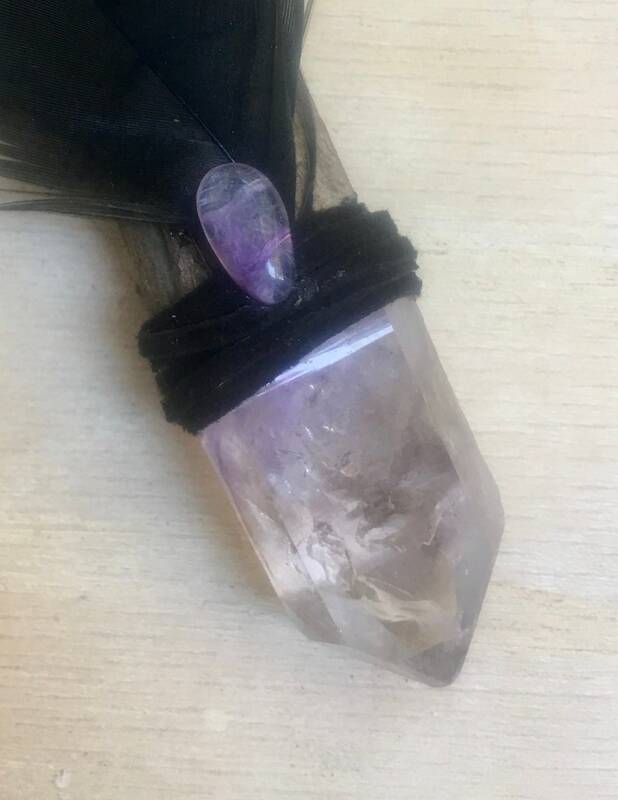 Brandberg Amethyst - a unique variety of quartz crystal found only in Namibia, Africa. 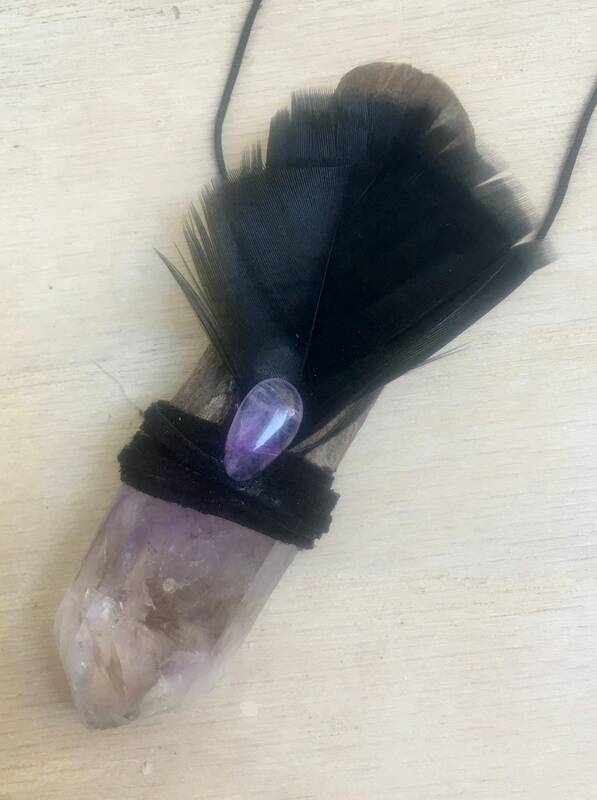 It is a mystic blend of amethyst, clear and smoky quartz together in one exceedingly high-vibrational crystal. 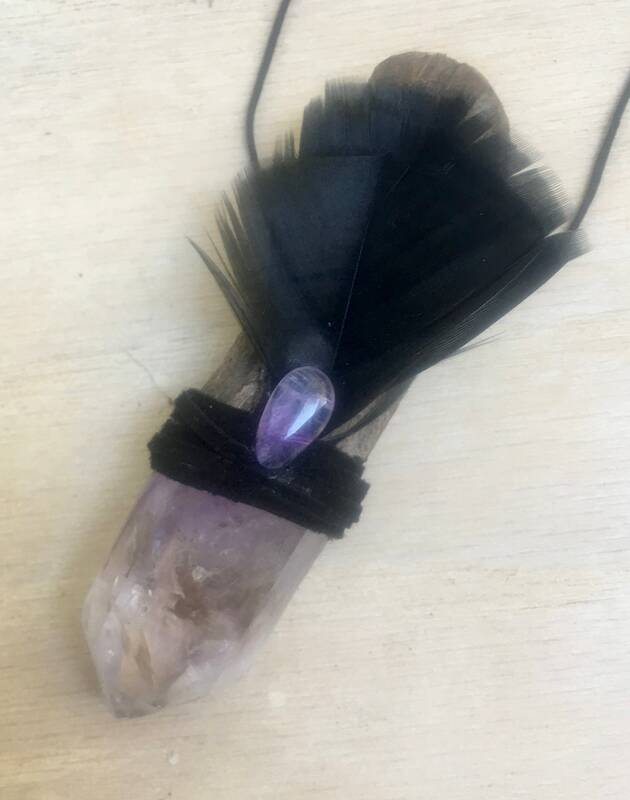 Regardless of color, each Brandberg crystal carries and combines the resonance of amethyst, smoky and clear quartz within its formation. 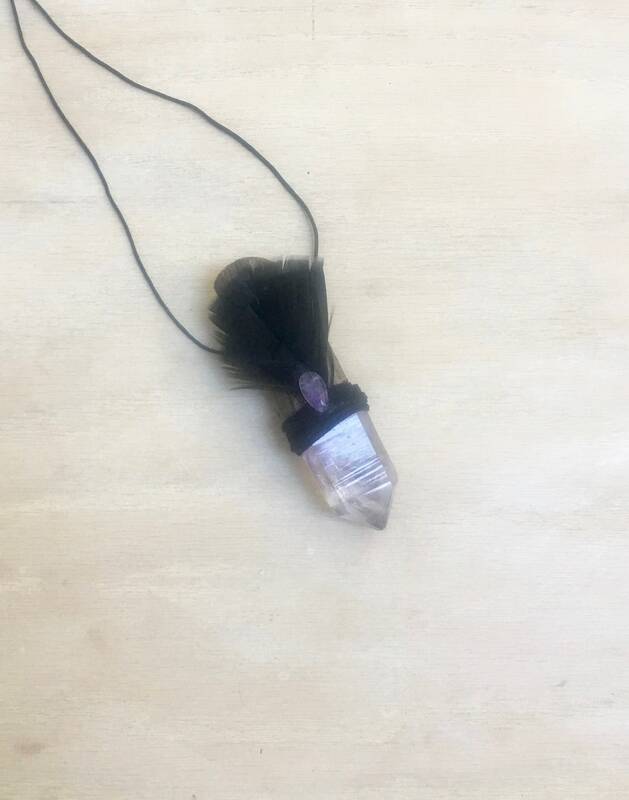 Is a powerful stone for spiritual alchemy and connects your spiritual being with “All That Is.” Is attuned to the white flame of pure consciousness, emanating infinite compassion and is the perfect crystal tool to use for deep soul healing and forgiveness. 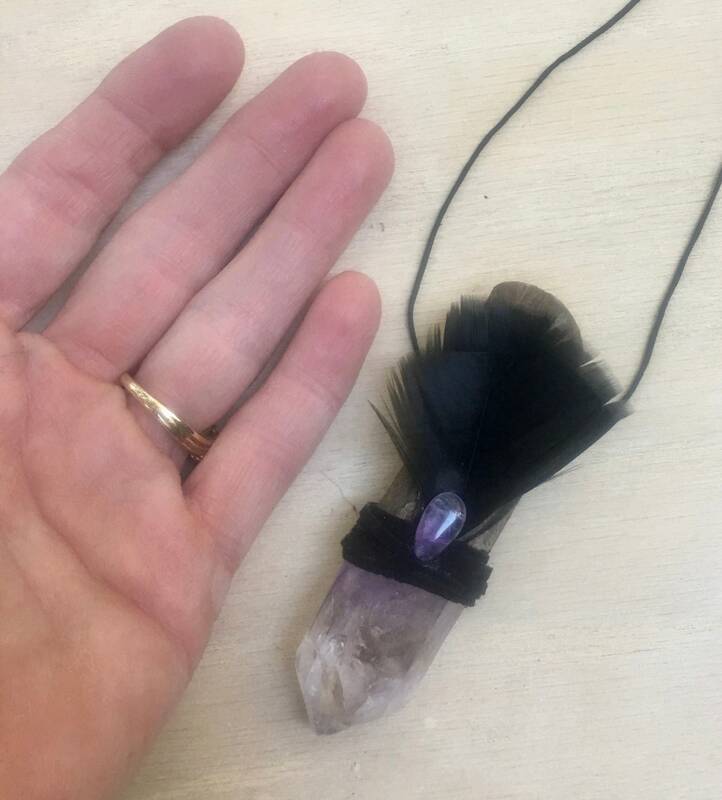 3 inches long; Brandberg Amethyst 1.25 inches.